LV PRASAD In India’s first ever Talkie Movie! India lo first talkie movie ento telusa? 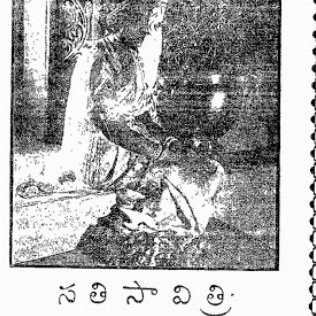 ‘Alam Ara’ e film ne direct chesindi Ardeshir Irani, 1931 release. Ee film ne rasindi Joseph David Penkar and Munshi Zaheer , Alam Ara ne Bombay Majestic Theatre lo first screen chesaru, e cinema first Sound movie kavadam tho audience dini chudaniki chala egapaddaru, 8 weeks varaku e film anni shows continues ga fill aipoyai, E cinemalo Junior artiste ga chesindi evaro kadu movie mogul of South Indian cinema, Our very own L V Prasad garu. 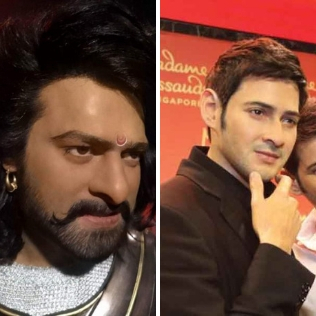 SuperStar and Rebel Star’s Madame Tussauds Wax Statues! Celebrities wax statues build cheyalante motam world lo Madame Tussauds Wax Statues Company chaala famous, e company anni countries lo unna famous celebrities wax statues ready chesi vatini London lo unna musuem lo store chestaru, Bollywood industry lo chala mandi wax statues chesindi e company kani South Indian heroes lo ippativaraku chesina wax statues iddarivi okati Mana Bahubali Prabhas inkoti recent ga SuperStar Mahesh statue. First Telugu Cinema to break US Box Office! Bhaskar direct chesina ‘Bommarillu’ movie 2006 lo vachindi, Sidhartha Genelia act chesina e movie enno records easy ga break chesindi, just 72 theatres lo release aina e movie hit talk kotti first week lone 5 crores business chesindi , America lo six major cities lo Bommarillu release chesaru, U.S loni oka popular entertainment portal reveal chesina news entante Bommarillu cinema U.S lo 3 crores business cheyaga aa country lo unna Indians ekkuvaga aa time lo chusina movie ide, motam U.S lo Bhaskar tisina Bommarillu ne 65,000 mandi india chusaru idi appatlo record. USA lo Telugu cinema stamina ento chepina first cinema idhe ani cheppali. 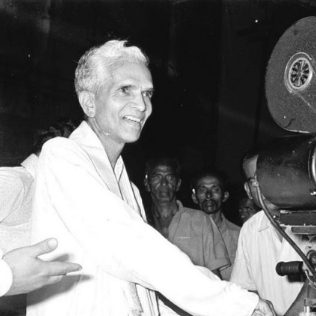 East India Company First production house First indian Cinema is Telugu Cinema! India lo first Film Production house start chesina company East India Company dini 1932 lo Calcutta lo start chesaru, E company India lo Produce chesina first cinema mana Telugu Cinema ae ‘Savithri’ movie name, Savithri movie ne father of the “Telugu theatre Movement” Chittajallu Pullaiah garu direct chesaru, e movie kosam appatlone 75,000 karchu chesaru, e movie release ayyi pedda blockbuster kuda aindi, inka Venice Film Festival lo honorary diploma award andukunna first Indian cinema kuda idhe. Two telugu singers got guinnes book record for most songs sung! 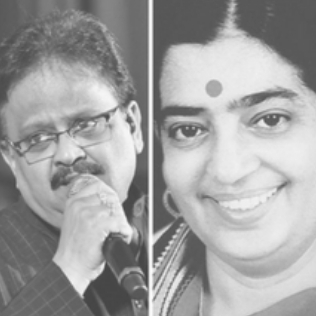 Tollywood legendary Singers P. Susheela inka S. P. Balasubrahmanyam garu iddaru industry lo singing ki rendu Pillars lanti vallu ani andariki telsina vishayame, Susheela garu 40,000 plus songs padi world lone ekkuva songs padina female singer ga inka SPB garu 36,000 plus songs padi world lo ekkuva songs padina male singer ga Guinness record book lo cheraru.vellu idharu mana Telugu vaaru kavadam manam garvinchalsina vishayam. First South Indian actor invited for Oscar Award presentations! Oscar Awards ante worldwide entha craze untundo andariki telsina vishayame, Oka Oscar award vaste chalu aa industry ki inka tirugu ledu ani kuda cheppukovachu mari alanti Oscar Awards presentations ki Invitation ravalanna mamulu vishayam kadu, Oscar Awards presentations ki South India nundi Guest of honour ga invite aina First hero evaro telusa Mana MegaStar Chiranjeevi gare 1987 lo. First International Film to be released in China and United states Malliswari! 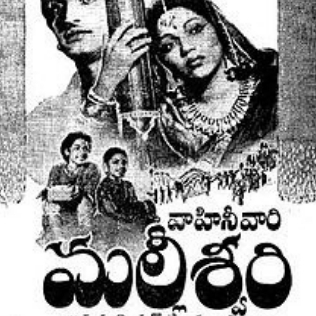 1951 lo Nandamuri Taraka Rama Rao garu act chesina Malliswari movie oka sanchalamane cheppukovali, e cinema enno records create chesindi, Telugu lo first 16mm film Print vadindi kuda e cinema kosame, Asian Film festival lo screen ayina first movie kuda ide, taruvata e movie malli chinese subtitles tho Beijing inka America lo release chesaru, Malliswari ne direct chesindi Famous Dada Saheb Phalke Award winner Bommireddy Narasimha Reddy. 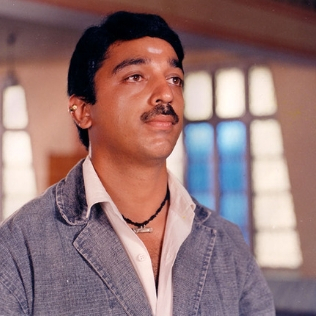 Hollywood Star Hero Copied Kamal Hassan! General ga Mana Vallu edana kotaga experimental movie tiste adi Hollywood nundi copy chesaru ane talk vastundi kani oka Oscar winner hero Mana Telugu Cinema ne chusi aa cinema hero character nunchi inspire ayyaru ani chepthe nammadam kashtam. Aa hero ki best actor award kuda techindi ante nammutara, ‘Forest Gump’ Hollywood movie lo Tom Hanks mana Legendary Kamal hassan Garu Natinchina Swathi Muthyam movie ne Inspriration ga tiskunnaru, aa cinemalo Hero Tom Characterization same Mana Kamal Sir lane untundi,inka doubt unte oksari google cheyandi. First Indian Actor to recieve an International Award is Our Tollywood Star! 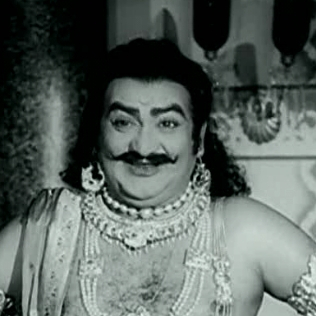 legendary actor S.V.Ranga Rao garu Mana Telugu Film Industry puttinapati nundi unnaru, SVR garini one of the all time great actors ani kuda cheppukuntaru. 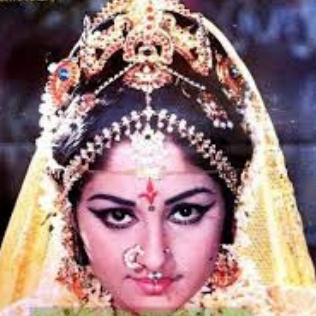 General ga actors ki tama industry awards ivvadam common ga jargutuntai Kani oka actor ki inko desham vallu pilchi mari tana performance ki award ichharu ante mamul vishaym undi.1963 lo jargina Indonesian Film Festival lo S.V Ranga Rao gariki tanu act chesina Narthansala movie loni Keechaka Character ki ganu Best Actor Award andukunnaru, india lo SVR gare mottamodati International award tiskunna actor, idi nijanga Tollywood Industry ki eppudu marchipoleni proud moment. Bapu’s Seethkalyanam movie is part of the curriculum at British Film Institute! 1976 lo bapu garu teesina movie Seetha Kalyanam, JayaPradha garu indulo goddeses Lakshmi inka Seetha Devi ga act chesaru, e cinema Visuals inka direction entho different ga untundhi, e cinema ne British Film Institute lo curriculum la kuda add chesaru ante ardam chekovachu, anthey Kakunda e cinema ne BFI London Film Festival and Chicago International Film Festival lo kuda chala appreciate chesaru, idi Tollywood history lone of the best Mythological movie ani cheppali, hatsoff Bapu garu.